Google is the leading search engine compare to other search engines and more than a billion people are using worldwide to search for the information. Many website bloggers write a beautiful blog post at regular intervals of time so that it will help people for their queries on the internet. Whenever people write a new blog post it should be indexed on the search engine immediately, not all the search engine the web pages should be indexed only the top search engine like Google is enough to get maximum traffic. What is Google Index Checker? The google index checker is a free seo tool from cool seo tools, it basically crawls the respective URL from the text box and displays how many pages have been indexed in google. After crawling the tool displays a total number of pages indexed on the google search engine. The tool is very simple and easy to use, the tool is built with friendly options. The google index checker only takes 1 input Url to fetch the indexed pages and gives the result after clicking the submit button. Most of the sites or webpages are not indexed immediately; to check the status of webpage use our google index checker tool. If the site has more authority and links, the google gives more preference to the site and index website faster. If the site has a huge number of pages, the google index checker gives all the number of indexed pages within a single click. If the sites do not index even after a day, submit the webpage or site on social media platforms. If anyone sees on the respective platform and clicks on the page, it simply redirects to the site. The more the signals, it is easier to pass signals and index faster. It is necessary to be indexed fresh pages on google immediately before the competitor does, on my understanding google performs 2 actions crawling and indexing. In order to identify your new pages to be indexed, google uses bot called google bot to crawl all your web pages that should be indexed one by one. To check the pages indexed on google or not use our free google index checker tool from Cool Seo Tools. If you want to know how google spider will crawl your website, test your site with our free google spider simulator tool. How To Index Web Pages Faster? To index your webpages faster and convenient way is to log in first to google search console and click on the website you wish to submit the webpage. Then head to 'Crawl' section and click on it, finally select 'fetch as google'. Copy and paste your webpage and submit on fetch to index faster. The second way to index webpage or site to google is by submitting a sitemap to google search console. Update your sitemap with new urls according to XML format and submit it. Google index checker is one of the popular tool used by webmasters and seo analyst to understand how faster the google crawls and index the webpages in the search engine database. This is one of the easiest and convenient ways to a webmaster to speed up their work. Many content writers, webmasters, and online marketers often publish a blog post frequently on their site. Most of the google crawlers take some time to find and index the webpages, in order to process smoothly the webmaster must submit the new urls in the XML sitemap and submit to google search console. An alternative way to index your webpage faster is by promoting your webpage on social bookmarking, social media platforms like Facebook, Twitter, Pinterest, Linkedin, and Instagram to attract more visitors to your webpage. The more signals and link juice it passes, the easier for google to crawl and index the webpages. Submitting a sitemap helps the Search engine spider to crawl efficiently and indexes on search engine results page. Why we need a Google Index Checker tool? Everyone needs organic traffic to their blog and help people providing valuable information. So the webmaster or the owner of the website needs to know is the webpage indexed or not. If you have lots of pages on the website than checking each URL manually whether it is indexed or not requires a lot of time. The tool is built to make user identify the webpage is indexed rather than manual search which would save a lot of time. Presently the tool can find 1 URL at a time, in future we will provide bulk URL option to crawl and check at least 10 pages at a time. Submitting a sitemap will help to crawl your site easily and index on the search engine, but many times it delays to index because of the larger number of pages and makes difficult to crawl. Nowadays many people are saying that search engine spider looks at the quality of contents, links, signals and many other factors to index on priority. If you publishing content consistently so the spider keeps coming to your webpages and brings more website traffic by indexing your site. How to use our Google index checker tool? We already know that indexing a website or webpage is the first step to publish content. Google Index checker now became a friendly seo tool for webmasters and seo experts to know how many pages have been indexed in the google search. Google work is to make sure all the site pages are indexed without any problems; if any problem persists on a page it automatically shows on google search console. The tool is very simple to use, first enter your main domain URL, followed by captcha code and click the submit button. Then the tool automatically runs in the background and gathers relevant information about how many pages have been indexed on the google SERP pages. All the results will be displayed within milliseconds, unlike any software. It is just simple to identify the specific urls or complete site indexed in the google search engine using google index checker from Cool Seo Tools. Just specify the required URL to be tested that the web page is indexed or not and click the submit button, within a matter of seconds you will receive valuable information on the indexed status of your site. The main importance of this Google Index Checker tool is to know how many pages are indexed and how many pages have been exist on the site. If any mismatch in the numbers, we can raise a request to a webmaster and make crawl the page on google search console. But the tool display only the number of pages have been indexed. If the crawling rate is higher, those domains get higher traffic and improve page authority along with domain authority over time. The main job of the google index checker tool is to find the number of pages indexed and displays to the users. Suppose if the page is not yet crawled for many days even after submitting, there might be some technical site issues like page loading speed and size of the page. It has to be fixed as soon as possible otherwise it results drop in search engine ranking. With google on-page optimization, google index your site faster and start to rank against competitors. What is the purpose of google index checker tool? 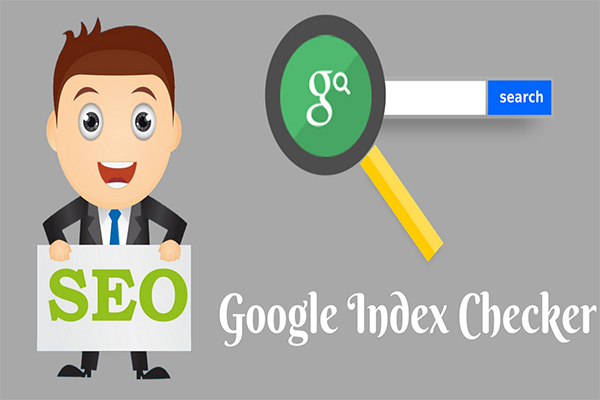 The purpose of our google index checker tool from Cool Seo Tools is to help people to find their website indexed properly all the web pages on google or not. You can find many similar online tools that tell about the index status of your site, but our friendly tool is the best in speed and accurate output. To know how it exactly works just enter your required domain in the text box. As a result, the tool fetches all the web pages and display a total number of web pages indexed by google search engine. You can check around the ‘n’ number of domains without any restrictions using our free online tool. A very important factor is that every webpage is necessary to be indexed to get higher search engine rankings. Finally, the more your web pages have been indexed there is a chance to get top ranking in google. The tool is very fast, convenient, and free to use 24/7 without any restrictions. The tool checks the number of pages indexed for a particular site. We are grateful and happy providing google cache tool to our seo community which is completely free to use. We ask everyone to use the tool and understand about crawling and indexing. If your site not indexed than make sure it is indexed by the google search engine spiders. There is no exact time when the crawlers visit a particular page and index it. If any issues with the page, make sure it is fixed with the website developer before going live on google.